Visitors to Southern Florida will delight in the exploration of its beachfront parks, its museums, and its beautiful botanic gardens. Families can swim with dolphins at the Miami Seaquarium or go snorkeling at the first undersea park in the US as they explore John Pennekamp Coral Reef State Park. Southern Florida's museums offer a world of information about art, science, nature, and the fascinating history of the region. 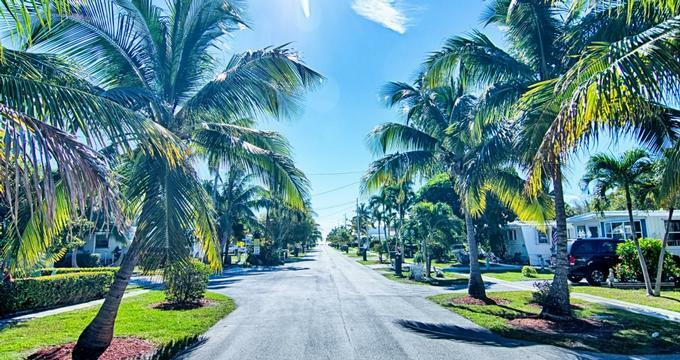 From Miami to Key Largo, Southern Florida is the perfect destination for a sunny respite from the cold, with attractions that suit visitors of all ages and interests. At Bill Baggs Cape Florida State Park, visitors can swim, play, and go boating on the Atlantic. The beach at Bill Baggs is rated one of the top ten beaches in America, and with over a mile of picturesque, sandy beachfront, it's not difficult to see why. 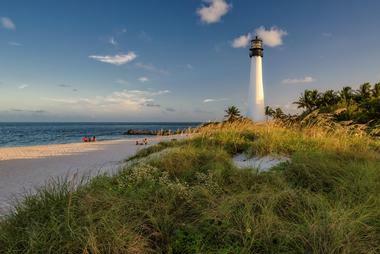 The Lighthouse at Bill Baggs Cape Florida State Park is the oldest of its kind in the region. Built in 1825, it provides a stately and distinctive sight for visitors, set against the gorgeous backdrop of the park and beach. Guided tours of the lighthouse and the connected cottage for the lighthouse keeper are offered two times a day. The Calusa Nature Center and Planetarium is a park, museum, planetarium, and so much more. Located on 105 acres in Fort Meyers, the Calusa Nature Center offers various exciting activities and exhibits for its visitors to learn about the natural history of Southern Florida. Guests can meet some of the center's resident animals, including skunks, raccoons, and the inhabitants of the Butterfly and Audubon Aviaries, which feature birds of prey like hawks, eagles, and owls. 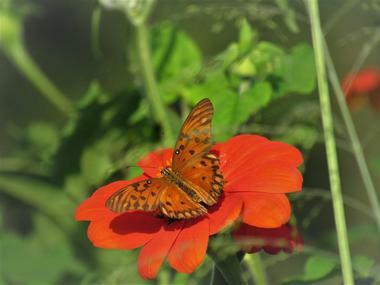 In the museum, guests can learn about native Florida wildlife and then take to one of the three nature trails at the center to see some with their own eyes. The Calusa Nature Center and Planetarium is open seven days a week. In the Edison and Ford Winter Estates, visitors will find museums and gardens on the grounds of the adjacent historical homes of Thomas Edison and Henry Ford. Visitors can tour the homes of both of these illustrious inventors, wander the botanic gardens on the museum's 20-acre property, or visit the Estates Museum to learn about two of the most influential men in American history. Visitors will learn about their lives, inventions, and influences with fascinating and interactive galleries, displays, and exhibits. The site is also home to the Edison Botanic Research Laboratory, and the stunning botanic gardens that both influenced Edison in his research. 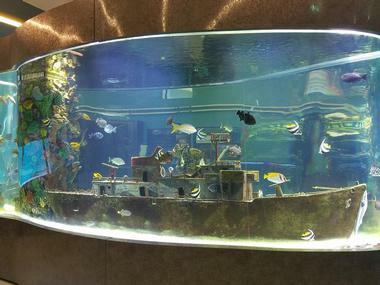 At the Imaginarium Hands-on Museum and Aquarium, kids can experience science and marine life in a way unlike any other. The establishment is located in Fort Myers, and admission to the Imaginarium grants access to over 60 hands-on exhibits like the Touch Tank, where kids can see and touch sea life like stingrays, the Dino Dig fossil lab, and the Animal Lab, which includes everything from ball pythons and alligators to prairie dogs and Mexican axolotls. The Imaginarium's exhibits are fun and educational, and the museum also offers educational programs and shows where kids can meet and learn about live animals or explore their creativity and engineering skills. While its sparkling blue ocean views and swaying palm trees are beautiful, the real draw at John Pennekamp Coral Reef State Park lies under the surface of the ocean. 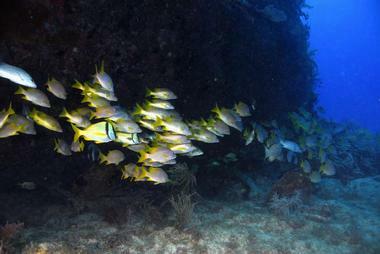 The bounds of Pennekamp Park stretch for three miles into the Atlantic Ocean, and with a glass-bottom boat tour, visitors can look into reefs teeming with fish and other wildlife from the comfort of a dry boat. For a closer look at the water, the park also offers canoeing, kayaking, and paddle boarding, as well as snorkeling and scuba diving. Back on dry land, visitors are welcome to enjoy the park's beaches, trails, and picnic areas. 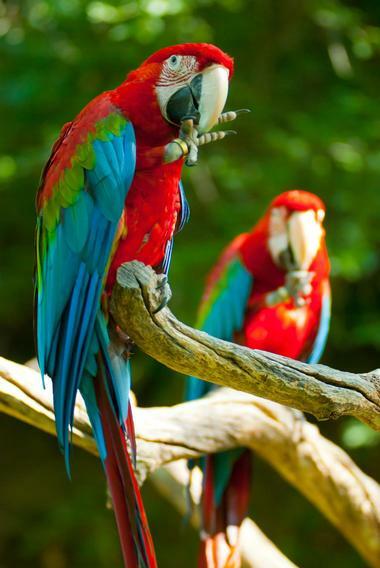 Visitors to Jungle Island will get up close and personal with a wide variety of animals and tropical plants. 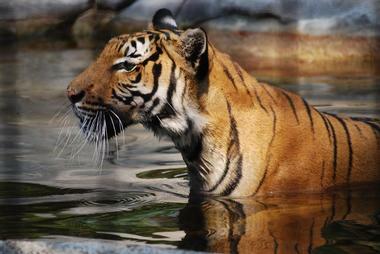 This interactive zoological experience offers live shows where guests can learn and even have their photo taken with tigers, primates, or birds of prey. While playing with lemurs or hanging with some two-toed sloths, guests will learn about the habitats and conservation efforts surrounding some of the earth's most unique creatures. Jungle Island is open 365 days a year and offers different entry packages that include shows, animal interactions, tours, and special programs. 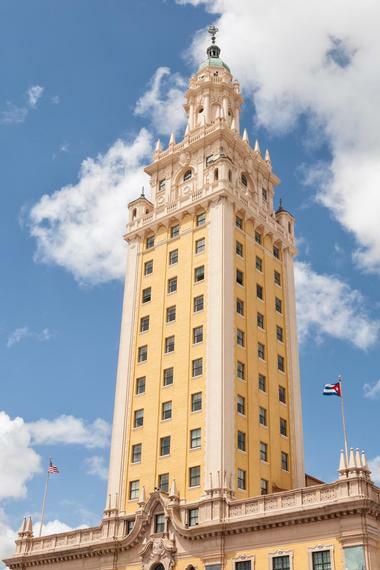 The Miami Dade College's Museum of Art and Design is located right in downtown Miami in the National Historic Landmark Freedom Tower. The Museum of Art and Design (MOAD) is the permanent home to over 1900 works of art across all mediums, including photography, painting, sculpture, film, and many more. At the Museum of Art and Design, visitors will see works by famous artists as well as those by rising artists and student artists. They will also find works that have significant influence in the world of contemporary art. On the third Saturday of every month, the museum hosts a children's program called GOGO MOAD!, which is located in various settings around the city of Miami. 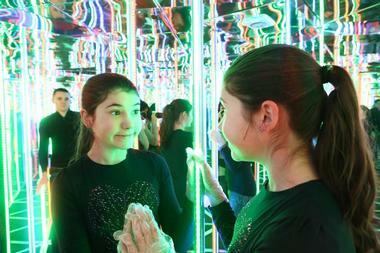 At the Miami Children's Museum, every exhibit is designed with a specific learning goal in mind. From the Construction Zone to the Ocean Odyssey to the Music Makers Studio, kids will love the wide variety of exhibits that promote not only learning, but also play. The museum was created in conjunction with real school curriculums, and its mission is to take the lessons that kids learn in classrooms and turn them into real, lasting experiences. Kids of all ages will love the museum and the many layers of learning and fun that it offers. The Miami Children's Museum is open daily from 10am until 6pm. Miami Seaquarium is a marine themed entertainment park that emphasizes education and conservation along with fun for the entire family. At the Miami Seaquarium, guests can swim with dolphins, learn about a penguin's habitat, and see endangered manatees and sea turtles. 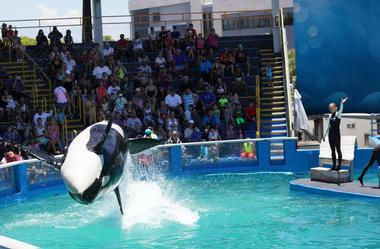 The Seaquarium offers eight unique and fantastic animal shows, where audience members can watch dolphins jump and flip high in the air, and laugh at the silly antics of sea lions. Each show is designed to teach its audience about the animals they are watching, as well as conservation efforts that everyone can take part in. The Seaquarium recommends that its visitors allow a visit of at least four hours in order to fully enjoy everything they have to offer. Located right in the center of downtown historic Fort Meyers, the Murphy-Burroughs house is a beautiful piece of Georgian Revival architecture that was built in 1901. 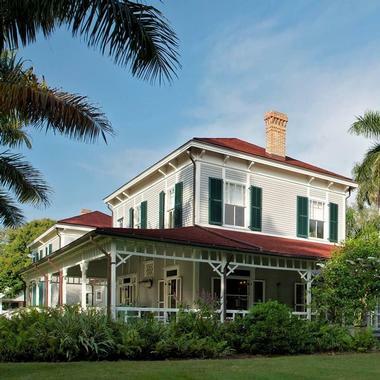 Set on a gorgeous property overlooking the Caloosahatchee River, the home is open for guided historical tours. Visitors can enjoy the peaceful gardens and listen to the relaxing flow of the river or explore every room of the house while learning about the history and stories of the lavish social events that once took place within its walls. Guided tours are available to the public at 11am on Tuesdays, Wednesdays, and Thursdays with an advance RSVP. Inside the Museum of Discovery and Science, visitors can dig for fossils, navigate the skies in cockpit simulators, meet alligators, iguanas, and a 12-foot long snake, and so much more. 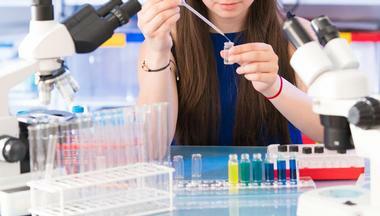 The Museum of Discovery and Science is located in Fort Lauderdale, and it is designed to teach children and adults of all ages about science and nature through a wide array of interactive exhibits and shows. At the EcoDiscovery Center, families can feel the forceful gale of hurricane winds, play with adorable river otters, and ride the Everglades Airboat Adventure. Other exhibits will teach visitors about the power of the human body, life in the Everglades, and going green. The Museum of Discovery and Science is open Monday through Saturday from 10am to 5pm, and on Sundays from noon until 6pm. The Bonnet House Museum and Gardens is the historical home and studio of American artist Frederic Clay Bartlett, and it was built in 1920. 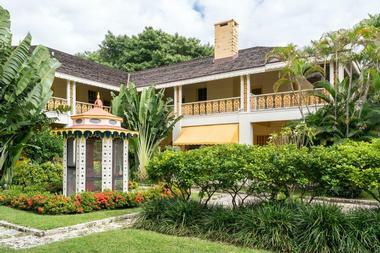 Located in Fort Lauderdale, the Bonnet House today is home to a vast collection of art, as well as the personal belongings of the Bartlett and Birch families, all of which are available for viewing individually and by guided tour. Bonnet House is built on 35 acres of a beautiful coastal barrier island, and its grounds and gardens offer its guests the opportunity to explore the natural ecosystem of Southern Florida, complete with native wading birds and even manatees. 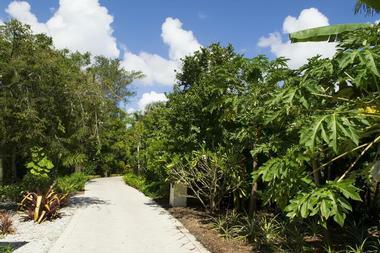 The Dagny Johnson Key Largo Hammock Botanical State Park is located on a tract of land that was once designated for a condominium development but was instead preserved because it contains more West Indian tropical hardwood hammock than anywhere else in the United States. 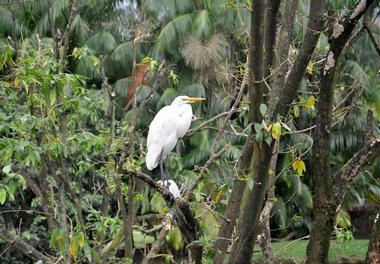 Inside the park, visitors will find over eighty species of protected plants and animals. From wild cotton to the American crocodile, the park is abundant with wildlife, and its trails are perfect for sightseers, photographers, hikers, or cyclists. Self-guided tours are available through a series of informational signs along the six miles of trails within the park, and ranger-guided tours are also available by appointment. The Naples Zoo was instituted in 1919 as a tropical botanic garden. When the space was re-outfitted to house animals, it was done with the utmost care to preserve the historic garden setting, and the result is a unique and beautiful space complete with not only exotic animals but also rare tropical plants and trees that have grown in the Naples Zoo for almost a century. The Naples Zoo features a mile-long paved walking path that will lead visitors through exhibits where they will find lions, bears, and giraffes as well as primates, reptiles, and some rarer creatures like fosas from Madagascar. The Naples Zoo is open to the public seven days a week from 9am until 5pm, and the last tickets of the day are sold at 4pm. 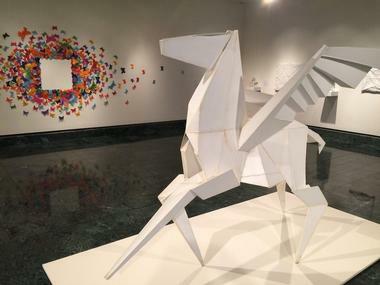 Located right in the heart of Fort Lauderdale just a short walk from shops and restaurants and at a convenient driving distance from both Miami and Palm Beach, the NSU Art Museum provides access to a wealth of exhibitions and programs depicting all aspects of visual art throughout history. With over 6,000 items in its permanent collection and seasonal or travelling exhibitions on display, the NSU Art Museum of Fort Lauderdale aims to educate its visitors through a diverse selection of art. The museum is open Tuesday through Sunday, and admission is free from 4-8pm on every first Thursday of the month. 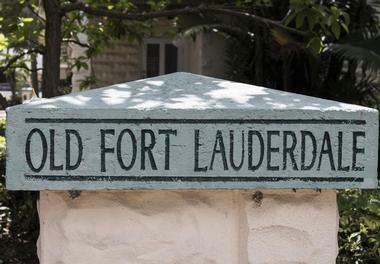 The Old Fort Lauderdale Village and Museum contains a historic 1907 house museum as well as three more historic houses and structures that date back to 1905. In the New River Inn History Museum, visitors can see artifacts from the Seminole Indians, early Pioneers of the region, and items from railroad workers and military movements in the area. The King Cromartie House is the painstakingly preserved home of two pioneer families, and the Ivy Cromartie Schoolhouse is a detailed replica of an 1899 schoolhouse, complete with period-appropriate desks and teaching equipment. Visitors to the Village & Museum can explore the property on a guided or self-guided tour during its operating hours of 12pm to 4pm on weekdays and 9:30am to 4pm on weekends. Located on the stunning waterfront edge of Biscayne Bay, the Pérez Art Museum exhibits contemporary and modern art, with an emphasis on international art. In the Pérez Art Museum, visitors can explore the galleries on their own or with a free guided tour. 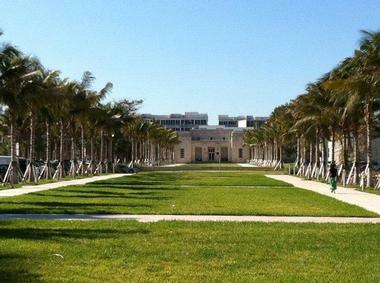 The Pérez Art Museum is part of the City of Miami's Museum Park, which is also home to the Miami Museum of Science. 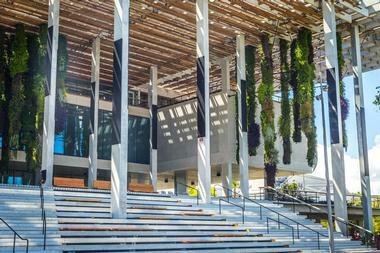 Visitors to the Pérez Art Museum will also enjoy the park's hanging gardens, as well as the museum's gift store and the delicious dining at Verde, the museum's waterfront restaurant. The Pérez Art Museum is closed on Wednesdays. Admission to the museum is free on the second Saturday of every month and the first Thursday of every month. The Stonewall National Museum and Archives aims to highlight the proud culture of LGBTQ history and the impact that it has had on the world. In the Stonwall National Archives, visitors can find pulp fiction, LGBT ephemera, oral histories and personal records amongst the 30,000 items. The Stonewall National Library is the largest of its kind in the US and contains over 26,000 books and DVDs. At the Stonewall Museum Wilton Manors Gallery, visitors can learn about the history of the LGBTQ community and culture as we know it today and the role it plays in modern society. Admission to the museum is free, with a suggested donation of $5 per person. 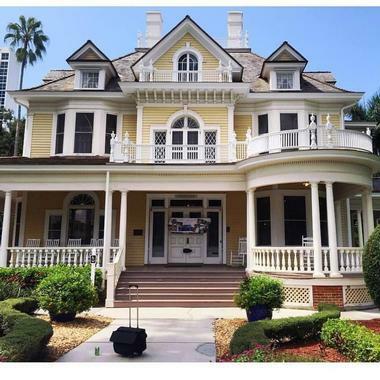 Frank Stranahan was the founding father of the city of Fort Lauderdale, and his home built in 1901 is the oldest surviving structure in the region. Over the years, it has served a variety of uses including a post office, a trading post, and the home of the Stranahans. Guided tours of the Stranahan House are offered daily at 1pm, 2pm, and 3pm and last approximately 45 to 60 minutes. Each tour will provide visitors with a ticket to the past, back to the days of historic Southern Florida when Fort Lauderdale was nothing more than a small frontier town. 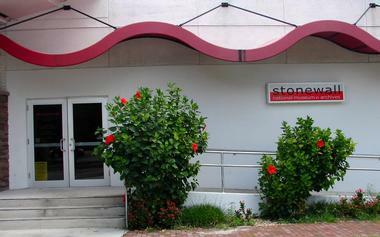 Stranahan House is located on 6th Avenue in Fort Lauderdale on the New River just off of Las Olas Boulevard. Located in Miami Beach, the Bass is a beacon for contemporary art in the region. The Bass highlights international contemporary art of both emerging and established artists and aims to represent the culture and spirit of Miami beach though a variety of mediums including fashion and architecture alongside more traditional art mediums. Though a series of educational and outreach programs for art lovers of all ages and levels of experience, the Bass IDEAS initiative uses art to inspire creativity within its community. Within the museum, visitors will find a rotating display of works from the Bass' permanent collection as well as a rotating schedule of temporary exhibits. Once home to Dr. David Fairchild, one of the most famous and influential horticulturists in the United States, the Kampong is home to a colorful collection of flowering and fruit-bearing trees and plants. Some of the rare and exotic fruits grown on the property include cocoplums, peanut butter fruit, and more than 50 types of mango. Visitors will stand awed by a Tanzanian baobab tree that weighs almost 50 tons, and they can appreciate the scents of the flowers and plants they may recognize from beloved perfumes. The Kampong allows self-guided tours with an informational brochure and map and also offers guided tours by reservation from September through June. More than 180,000 objects make up the collection at the Wolfsonian, which include artifacts from the Industrial Revolution through the era immediately following the end of World War II. Furniture, ceramics, paintings, and textiles are just some of the items that visitors can see when visiting the Wolfsonian, which is renowned for depicting life in a bygone era through these objects and its exhibits. 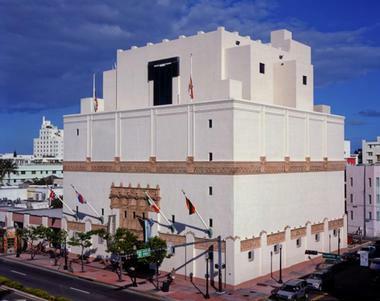 The Wolfsonian aims to educate its visitors about the future through a study of the past. Admission at the Wolfsonian is free to the public from 6-9pm on Fridays, and the museum is closed on Wednesdays. 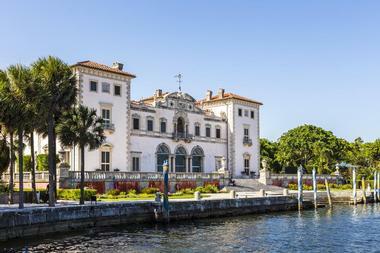 Built in the early 20th century as a subtropical version of an Italian villa, Vizcaya was once the winter residence of James Deering, one of the founding fathers of Miami and is located just south of the city on the shores of Biscayne Bay. The house's gardens are some of the most exquisite in the entire country, reminiscent of Italian and French gardens from the 17th and 18th centuries. The hedges, fountains, and mazes in the tiny tropical paradise will charm visitors, who can also enjoy the 34 lavishly furnished rooms of the main house. 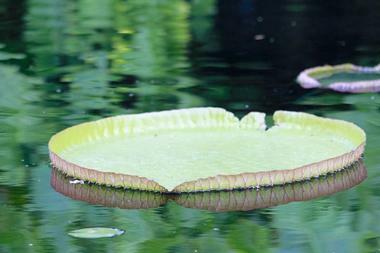 Vizcaya is open from 9:30 to 4:30pm every day except for Tuesdays. Audio tours and guided tours of the house and gardens are available.